Fit for Success: Protein Pancakes! After spending some time on Pintrest, I found a recipe that I really liked. It was the only recipe I found that didn't use soy or whey powder. Usually I only keep Muscle Milk on hand, and I didn't want to have to buy a tub of whey powder JUST so I could satisfy my craving for protein pancakes! 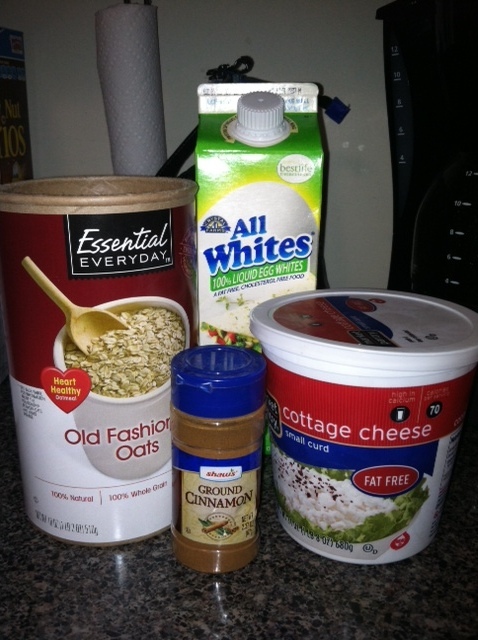 After gathering all of your ingredients (mine already happened to be in the house), mix it all into one bowl. I used about 1 teaspoon of regular sugar and sprinkled a good amount of cinnamon in! Next, heat up a flat skillet on medium heat with a dash of non-stick cooking spray. Once the pan is hot, pour a little mixture on! 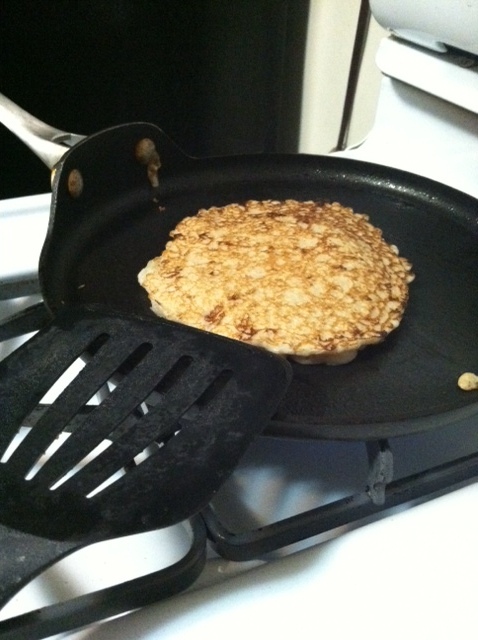 Like I said, I divided my "half batch" into thirds, yielding 3 pancakes. PS- don't make them too big because they can be hard to flip! After cooking it for about 5 minutes, flip it to the other side. I found that these don't quick as fast as normal pancakes do. 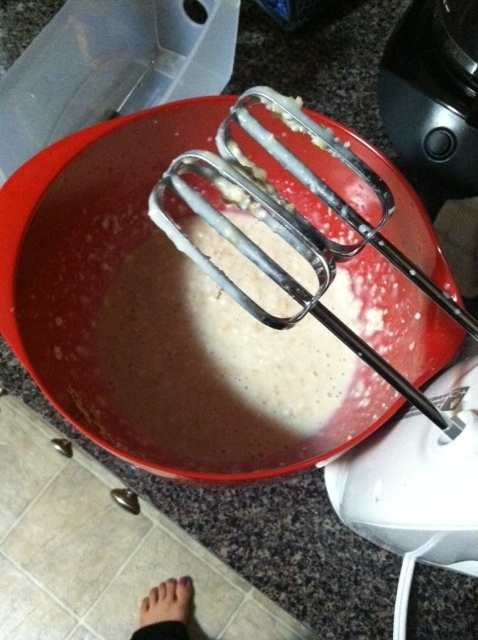 You don't want them doughy and you want to make sure the oatmeal cooks well. If its on medium heat, burning them shouldn't be an issue, so let em cook! After both sides cook, enjoy! 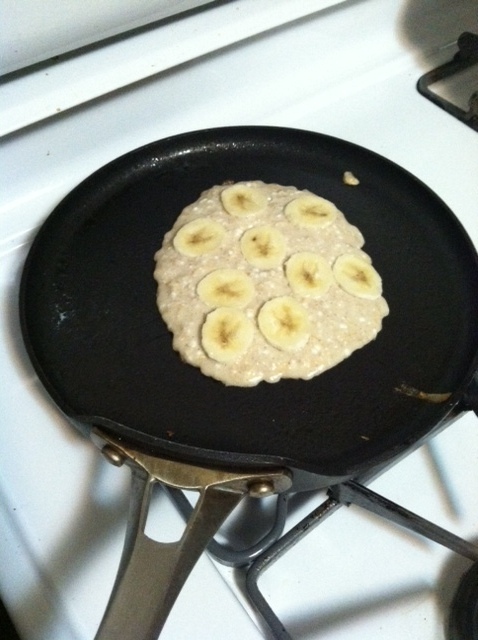 I decided to get all crafty and added a banana to my second pancake. 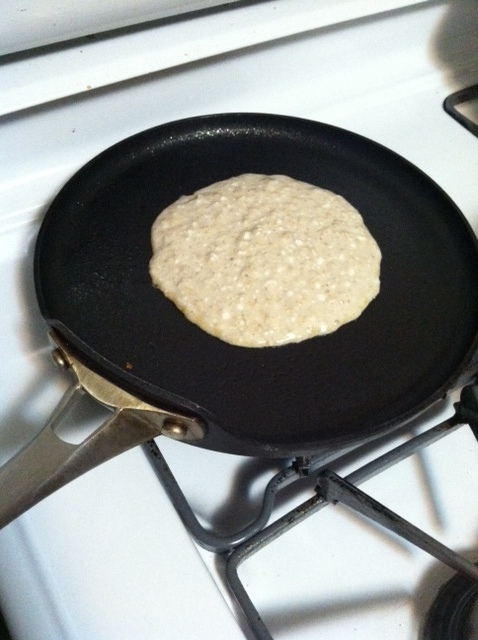 Do this immediately after you pour the batter onto the pan so that they can cook in! And that is it! Easy as pie. I put the leftover batter into the fridge, and it still tasted great the next day. Plus, you are packing tons of protein into your belly between the egg whites and fat-free cottage cheese, and hardly any fat. 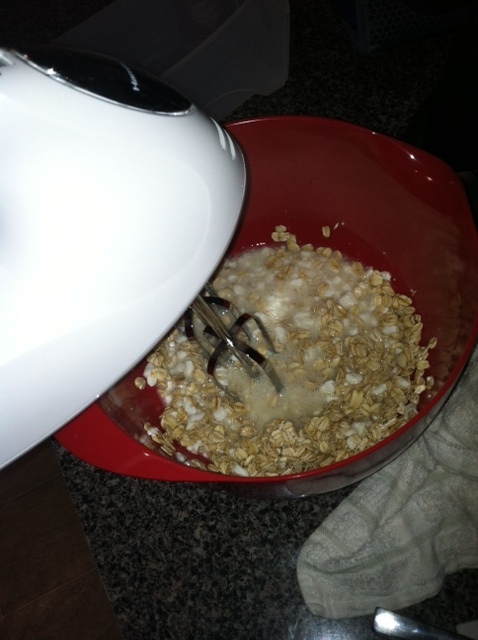 Oatmeal is much better than flour, so I suggest fully enjoying these babies!